Automatic Repair couldn’t repair your PC . So your first reaction would be to try to repair by going to Advanced options. But it turned out, you cannot finish the process because your Windows 10 repair utility fails. What do you do? Quit worrying, here are some troubleshooting steps you can do to resolve this. It may be like a sticky situation that you are having a difficult time getting out of. But help is on the way, just read on. 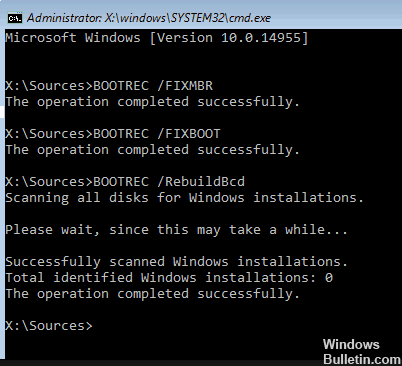 You need to access Command Prompt then rebuild your Boot Configuration Data. After this, repair your Master Boot Record and fix boot sector issues. Here are the commands you need to enter on command prompt. You have to enter them one by one. Restart your computer to see if the problem was fixed. If not, go to this next step. This utility will check for bad sector and attempt to repair it. It takes a while to finish, but when it is done, exit command prompt, reboot and see if the problem has gone away. If not, here’s more. This command scan your System Image for possible corruption. It takes a while to run so just let it run. There are times when problems occur after installing anti-malware programs. If that is the case, you may try disabling the security software that interferes with startup. 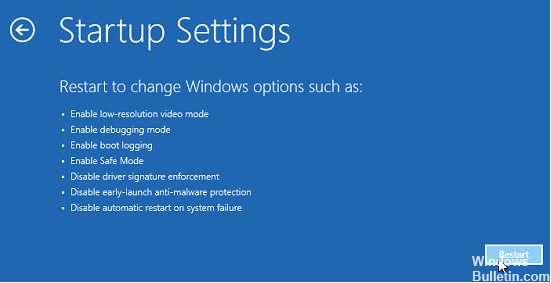 Just click on Advanced options, then Troubleshoot, then Advanced options and then again Startup Settings. Finally, hit the Restart button. This will restart the computer after it finishes processing, then you can check if it fixed the problem. If still no go, try the next step. Type “All” when asked which items you want to overwrite, then hit Enter. Reboot computer and check if the computer bypasses the Automatic Repair. This Windows 10 option can restore factory settings of your computer without removing your personal files. But this is normally done as a last resort for fixing the problem. Just use the Troubleshoot menu from the Startup repair menu, choose “Reset this PC” and wait for it to finish resetting. If the problem is not yet resolved at this stage, then comment and we will help you get your solutions for this problem.